“All that is necessary for the triumph of evil is that good men do nothing.” (Edmund Burke) Roosevelt Theodore Roosevelt Franklin attempts to make it through life day by day. Roosevelt is a widower, who lost his beloved wife to cancer and a retired history professor, and he has not stopped grieving. He and his two closest friends, also retired and who have also lost loved ones, form a paranormal investigation group. They hope to find an answer to the question: is there life after death? When asked by a local teacher to investigate a possible haunting of her house, the group discovers an evil beyond anything they could have imagined. This is no mere ghost. Maledicus, who was in life a pimp, torturer, and murderer during Caligula’s reign in Rome, in death has become a sociopathic demon that attacks the weak and the innocent. Maledicus threatens a five year old child’s life and soul. Terrified by what they have discovered, Roosevelt and his friends must choose to either walk away from this threat , or to do battle with this ancient creature at the potential loss of their sanities, their lives, and their souls. Maledicus is the right hand man to Caligula, Emperor of the Roman Empire, and they are equally despicable, inhumane and outright evil. Maledicus has plans, great plans, whereby he will ascend to the top position of Emperor but he underestimates the incumbent, Caligula, and his many eyes and ears. Maledicus never achieves his aspirations and is dispatched to the afterlife in an unpleasant and painful way. The idea behind this book is fresh and clever and the ending was superb. I was really impressed by the author’s unique and thrilling ending. Sannie and I spent an anxious night locked in the house with the four children. Earlier in the day a cloud of dust appeared on the horizon. As it drew ever closer, we could make out a great crowd of horseman and ox-wagons. The Boer Commando* stopped in our yard and the commandant knocked on our door. He told us they would be resting at our farm overnight and asked for some milk. I was angry with the commandant. A lonely farmhouse inhabited by two women and four children was no place to rest with so many “friendly” men. * – The Boer commandos or “Kommandos” were volunteer military units of guerilla militia organized by the Afrikaans-speaking farmers of South Africa. The term came into English usage during the Second Boer War of 1899-1902. I stood in front of the judge, trembling, as the eyes of the thousands of spectators seated in the arena focused on me. I could feel their blood thirsty gazes stabbing into my back but no-one broke the complete silence. How easy it is to sway the opinions of the masses, I thought in a hysterical sort of way. Faced with shortages and personal deprivation, together with a breakdown of civilization as we knew it, and any behaviour can be justified in their short-sighted eyes. My own eyes moved to the pale and shining face of my beloved son and I straightened my shoulders. I could do this. I would tell our story. I paused and looked up into the dark brown eyes of the judge, was I imagining things or did I see a look of sympathy lurking in their depths. He was leaning slightly forward, listening intently, and this, together with the look I had seen, gave me the courage to continue. I am so tired. I have a work deadline for tomorrow and my mother needed to be away today so she was not able to help me with Thomas. I called the agency yesterday, knowing that today would be a difficult day for me and they agreed to send a young man to play with Tom. I thought a male would work better as they could play ball games outside together. It did not work out like this at all. Thomas like the young man, whose name was Brad, and, once I had them settled playing a board game, I slipped down the passage to my office and started working. I got up and gave him a cuddle. “I’m right here, just down the corridor.” I took him back to Brad and re-settled him with another game. The whole morning was spent like this. I would work for a short while and then Tom would realise I was no longer in the room with him. He would run down the passage and I would have to comfort him and return him to Brad. Brad looked utterly confused and left as quickly as possible when 1 P.M. rolled around. I could not get my work beyond a certain point as the next phase required focus and concentration. Putting it aside, with a sigh, I took Tom out for a walk in the park after lunch. We have a lovely afternoon and when I finally got him off to sleep at 7.30 P.M. I settled down to my work. I finally finished at 2 A.M. and am just jotting down these few quick notes about the days activities so that I can show them to Mary when we see her again next week. Those of you who follow this blog will know that I am one of eleven authors who have each contributed three short stories to a murder mystery anthology due to be released in early July. In advance of the publication of this book, I am running a series of posts to introduce you to some of the other contributing authors. 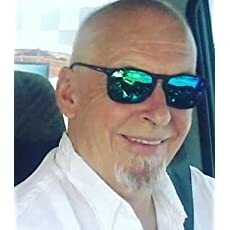 This week I am introducing you to author Stephen Bentley. Welcome Stephen to Roberta Writes. 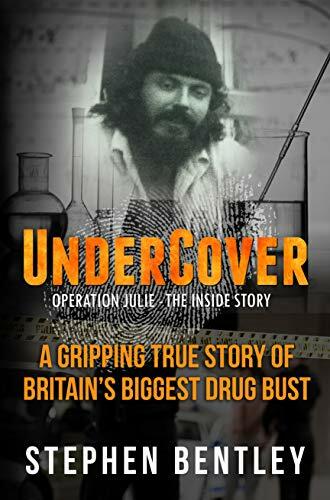 His memoir ‘Undercover: Operation Julie – The Inside Story‘ is a frank account of his undercover detective experiences during Operation Julie – an elite group of detectives who successfully investigated one of the world’s largest drug rings. When he isn’t writing, Stephen relaxes on the beaches of the Philippines with his family where he now lives, often with a cold beer and a book to hand. Other than what people learn about me from my bio, I guess I can add I possibly read as much as I write. My favourite genre is crime fiction but I have a fairly catholic taste in books so I do enjoy other genres such as historical fiction, and memoirs of interesting people. Oh, I would also mention I am a big fan of Liverpool Football Club. What drew you to writing short stories in the genre of murder mystery? I spotted a contest on Goodreads, entered with three stories, and one of them won. I was naturally delighted and encouraged me to write shorts. I do enjoy writing them as there is a completely different technique involved from writing longer books. Who is your favourite murder mystery writer? Difficult to pick out just one. If forced, I would say Michael Connelly. What is your favourite murder mystery book or series of books and why? The Harry Bosch series by Michael Connelly. But I also like his books featuring Detective Renee Ballard, particularly The Late Show. I love these books written by this author mainly because the characters, locations, dialogue, and plots simply ooze credibility. As a former detective turned writer, nothing galls me more than crime fiction lacking any basis in reality. Connelly was for many years an LA crime reporter with the LA Times. It shows. He knows cops and what makes them tick and understands the murky depths of deadly crime and human weaknesses. What is the overarching theme of your three short stories in Death Among Us? That one is easy. My three short stories were those I wrote for the Goodreads completion including an award-winner, The Rose Slayer. Other than that, I would add the theme underpinning all three stories is human frailties that sometimes cause people to snap and go on to kill. Thank you, Stephen, for your great answers to my questions. ‘Are you guys cops?’ the Canadian mobster asked. Steve Jackson heard him. His blood ran cold. Jackson was not his real name. He was an undercover cop. Have you ever wondered what it takes to be an undercover cop? How you infiltrate a worldwide drugs gang? Read this gripping true story of Britain’s biggest drug bust and get inside the head of a real undercover cop, an infiltrator. The underworld knew the author as Steve Jackson. How did he successfully infiltrate the two gangs? Did he have to take drugs? And how did ‘living a lie’ affect him? The author, Stephen Bentley, was one of four undercover detectives engaged on Operation Julie, one of the world’s largest drug busts. Together with his undercover partner, he infiltrated the gang producing around 90 percent of the world’s LSD and uncovered a plot to import huge quantities of Bolivian cocaine into the UK. He operated in the era of no undercover training, improvising as he went along: a pioneer infiltrator left to his own devices. At the culmination of Operation Julie, fifteen defendants, including doctors, research chemists, a writer, and ‘professional’ drug dealers were sentenced to a combined total of one hundred- and-twenty-four-years imprisonment. This huge and unique covert police operation is still today the point of reference for all British undercover operations and training. In 2011, the BBC claimed this massive operation was the start of the war on drugs. The author and his book have featured on BBC Newsnight, BBC Wales News, BBC Radio 4 World at One and BBC Five Live, BBC regional radio in addition to Wales on Sunday, London’s Guardian and Sunday Express newspapers. It is now optioned to be adapted for a feature film. Sue Vincent from Sue Vincent’s Daily Echo blog is hosting me today with a post about the last Abbot of Glastonbury and how I came to write my short story Murder of the Monk which will feature in Death Among Us. Glastonbury was initially inhabited by stone age farmers. In 1892 the iron-age village near Glastonbury, now known as Glastonbury Lake Village, was discovered by a young medical student called Arthur Bulleid. The village was first constructed in approximately 250 B.C. by creating a base of timber and clay on which roundhouses were build. The village was abandoned about 50 B.C. possibly due to rising water levels. Glastonbury is thought to have started as a small settlement which grew into a town after the Abbey was founded in the 7th century by the Saxons. The original stone church was enlarged in the 10th century by St. Dunstan who became the Abbot of Glastonbury and then the Archbishop of Canterbury in 960. After the invasion and conquest of England by the Normans in 1066, the church was bettered by the addition of magnificent buildings. In 1086, when the Domesday Book was commission to provide records and a census of life in England, Glastonbury Abbey was the richest monastery in the country. In 1184, the Abbey was destroyed by fire and reconstruction commenced almost immediately with the Lady Chapel, including the well, being consecrated in 1186. There is a school of thought that believes that in order to raise extra funds from pilgrims to rebuild the Abbey, the monks dug for the remains of King Arthur and Queen Guinevere and the bones from two bodies were raised from a deep grave in the cemetery on the south side of the Lady Chapel. The find is not considered to be authentic. Emma is placed in an institution but she does not thrive there. She is not liked by the woman in charge, Miss McKenna, and is disappointed even by her best friend, Jessica, who is self centred and selfish. After an altercation with Jessica, Miss McKenna turns completely against Emma and allows some very bad abuse of her to take place on an on-going basis. This ultimately leads to the complete disintegration of Emma’s mind and her ability to differentiate between right and wrong. Considering the short length of this book, the author does manage to portray the breakdown of Emma’s mind fairly well. It is clearly demonstrated that, from an early age, that Emma reacts with strong resentment when people in her life let her down and that she is not able to identify any mitigating circumstances for their actions which would enable her to forgive them. This is indicative of what is to come in terms of the deterioration of her mental status when she suffers abuse later on in her life. I would have liked to see some further development of Miss McKenna and to have understood why she disliked Emma so much but the ability of this little book to disturb my peace of mind so effectively made it worthy of a five star rating.